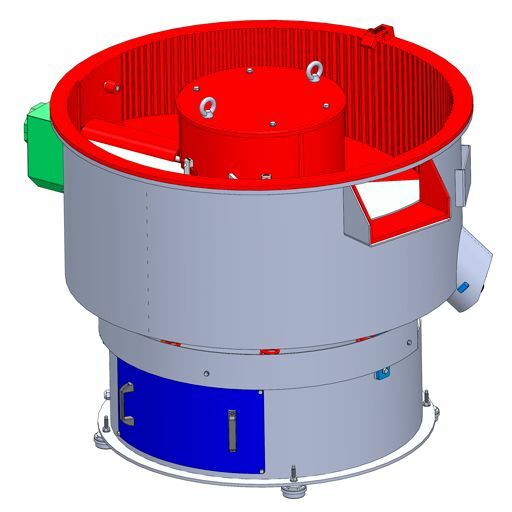 Liquid Compound Systems - Royson Engineering Co. Liquid Compound Dispensing Systems are available to meet all systems requirements. 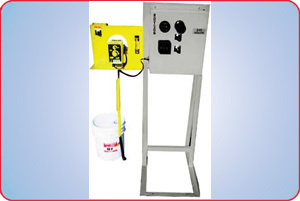 Simple pumping and recirculating systems to multi pump systems are available. Precise delivery of water and compounds into the finishing process is achieved with these systems. 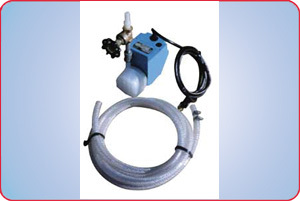 This is the standard compound pump used on most Royson machines. The pump is bolted to the side of the machine control panel stand. Tubing is supplied to draw compound from a pail or drum and to deliver compound to the machine. A switch on the control panel turns the pump on and off. 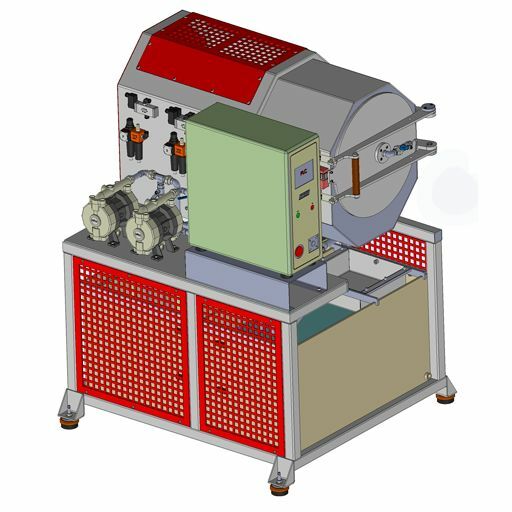 This pump system is used when multiple compound and water rinses are required for the finishing process. 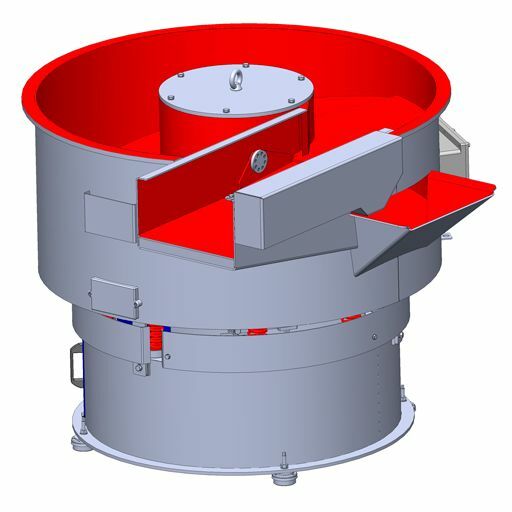 The system allows manual and automatic operation with timed cycles. 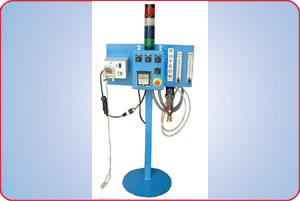 All tubing is supplied with the pump. The system is powered by 120 Volt.. 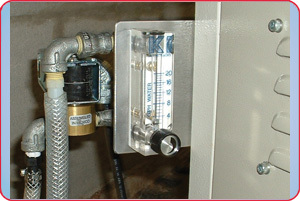 The flow meter is attached to the side of the machine control panel stand. 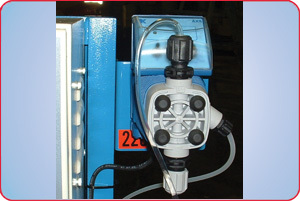 A 0-20 or 0-40 gph flow meter regulates water flow to the machine. A solenoid valve opens and closes the water line when the standard pump is turned on and off. A standard water line must be connected to the system. Tubing from the meter to the machine is supplied. 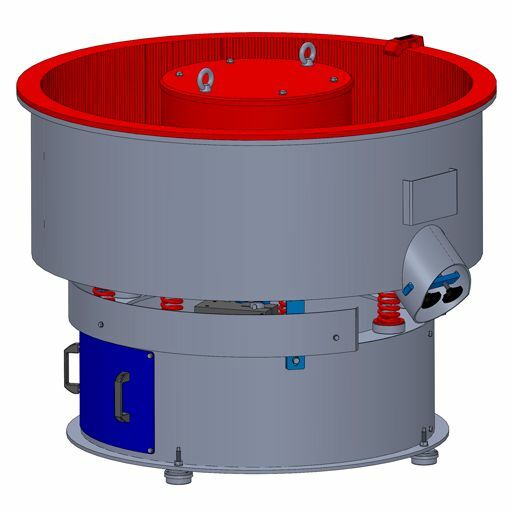 This unit is used for recirculating compound solution into the vibratory machine. 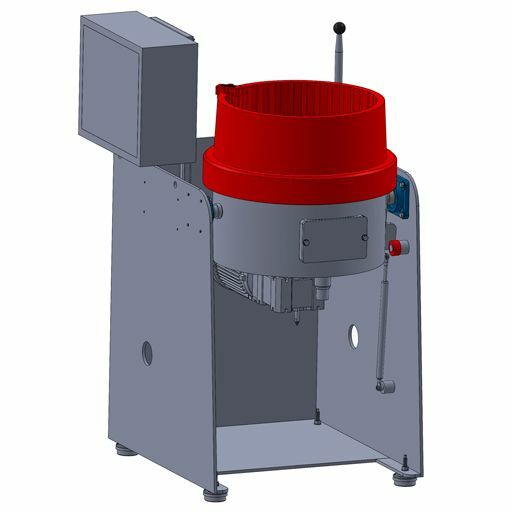 This system automatically mixes and dispenses very accurate amounts of compound solution into the vibratory machine. 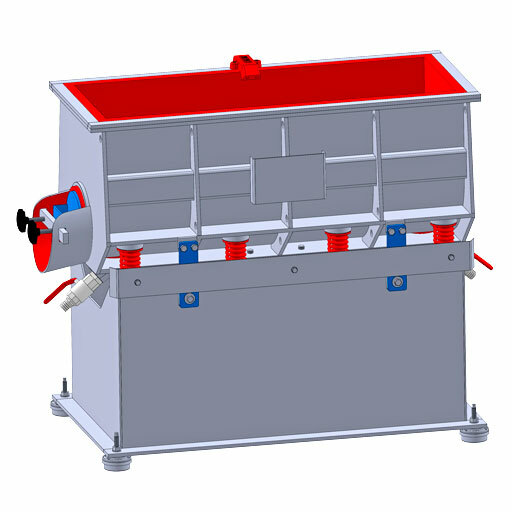 This unit can be supplied with a manifold for supplying compound solution to multiple machines.The unit shown is bolted to a machine console stand, and electrically tied into the vibratory machine motor on off circuit.